I have fine and straight hair and it seems like it is tough maintaining it. Between the constant breakage and the limpness of it, I have picked my hairdressers brain on how to liven it up. Does anyone else fail miserably at recreating your hair look and style that your hairdresser does during your hair appt? I do. But I am going to share my current hair routine. I do change it up every so often, but this is the one I have been using for awhile. I alternate my shampoo and conditioner throughout the week. I use Bumble and Bumble Full Potential Shampoo and Conditioner one day and Oribe Bright Blonde Shampoo and Conditioner the next time. Why do I use two different lines? Well I color my hair a bright blonde and I want to keep that brightness going between appointments. Bumble and Bumble's Full Potential is amazing. It reduces hair loss, prevents breakage, strengthens your hair and makes it look fuller. The key to fine hair. 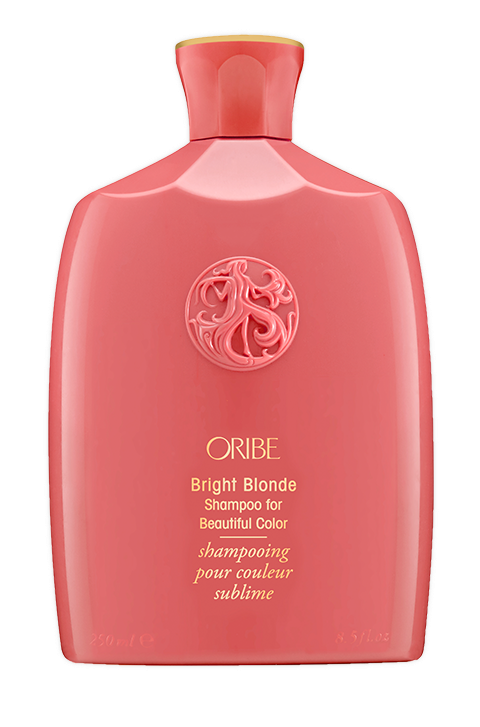 My other favorite shampoo is the Oribe collection. I get the bright blonde (in the pink bottle), but they have so many lines for different types of hair. This is my favorite one. It smells so good and leave my hair feeling silky. If you are like me and blow dry, straighten and/or curl your hair all the time, I am sure it is a bit damaged. With fine hair, it gets damaged easily. A new product came out and my hairstylist put some in my hair last time (before blow drying it) and then gave me some samples to take home since they were not selling it in the store yet. She said her husband complimented her on her hair and he never does anymore (since it is on point all the time). I used it daily and my hair never felt better. The ends felt soft and my hair was shiny without being greasy. I got a ton of compliments on it and I hadn't changed anything really. I did the same color and a micro trim. I've been looking for a good dry shampoo - I'll have to give that one a try! Thanks! My hair right now is in desperate need of help with this winter air. I have thick and curly hair - the opposite of yours! Love the pret a powder! Its amazing. I just started using Monat and have really liked it. I too have thin fine hair that is well limp. Girl we just have so much in common. Not sure if I love it yet, but I used B&B before it. Never thought of alternating with the Oribe. My salon uses B&B and Oribe too, love how it all smells. My hair is the complete opposite, haha- thick, textured and crazy curly! 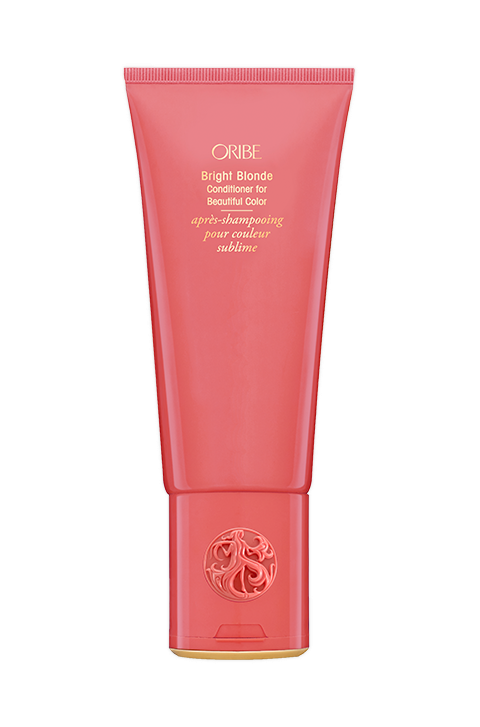 I use Bumble and Oribe products too and love them so much- can't live without them! I just got a small size of the living proof dry shampoo to use in between Batiste since it really cleans your hair and it's great! That dry shampoo sounds awesome!! It is heavenly. My favorite of any I have ever tried. LOVE these posts and I cannot wait to try ALL of these! Thanks for sharing! I will check out some of your picks! I am always on the lookout for a great dry shampoo! I’ve been using Monat hair care line since October and it’s hoendlg been life changing for me! 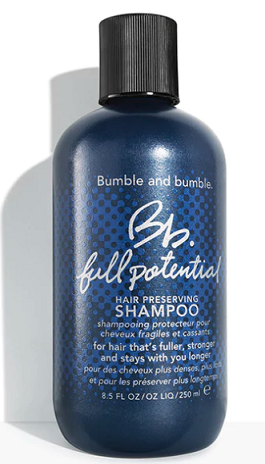 I love the Bumble and Bumble styling products I've tried, so clearly I need to try this shampoo since I have the same issues. I use Living Proof dry shampoo and love it...but can only go one day between hair washings. I'll have to check that one out too! I don't like not your mothers. The smell is awful to me and it just left too much white cast on my hair no matter how much I tried to brush/finger it out. B&B products are great! Your hair always looks so gorgeous so I’m all about trying these! Oh why thank you. I really try to keep it healthy and looking good. I love everything Bumble and Bumble! Their products smell fantastic and work great! Clearly I haven't tried this one yet, so I'll need to get on that.